N. CAROLINA: Earnhardt-Shearer Racing (ESR) has announced that Bobby Dale Earnhardt will team with Honor Flight to help promote the organizations core mission as well as to promote veteran needs and support current troops. The two parties will work together to move the message forward about the important work Honor Flight does. The Honor Flight Network is a 501(c)(3) non-profit organization which works as an umbrella organization for many local chapters and various subgroups across the United States. The goal is to help veterans visit the memorial dedicated to them in Washington, D.C.
Earnhardt, son of Kerry Earnhardt and grandson of the late Dale Earnhardt Sr., said he was excited to help promote the national organization in his racing efforts. ESR will dedicate space on their cars, or trucks, in every series and race they are entered in for Honor Flight graphics. Also, Earnhardt will help promote Honor Flight during race weekends and help get his sponsors on board the messaging effort as well. To date, Earnhardt has competed in the NASCAR Xfinity Series, the ARCA Racing Series, The ARCA Truck Series and more. His growing resume includes being one of the most popular drivers when he appears at a track. 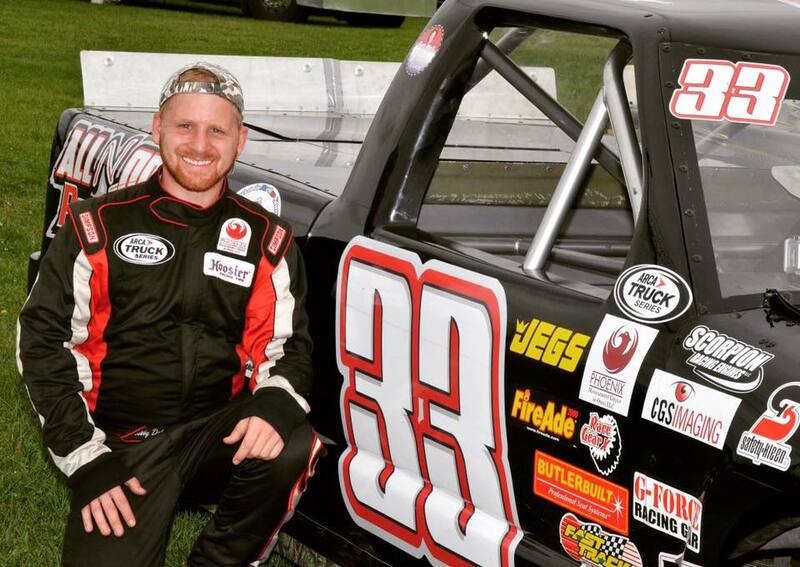 He was the 2013 ARCA Truck Series rookie of the year. Bobby admits freely that the Earnhardt name, and being the nephew of Dale Earnhardt Jr. and brother of driver Jeffrey Earnhardt, carries some clout. Earnhardt plans on using that “clout” as a means of helping in his association with Honor Flight. The Honor Flight Network was cofounded by Earl Morse, the son of a Korean and Vietnam War veteran, and Jeff Miller, a small business owner and son of a WWII veteran. As of the end of the 2017 flying season, the Honor Flight Network has escorted over 200,000 WWII, Korean War, and Vietnam War era veterans to their memorials in Washington, D.C.
Bobby Dale Earnhardt is currently piloting the #33 on the ARCA Truck Series tour.